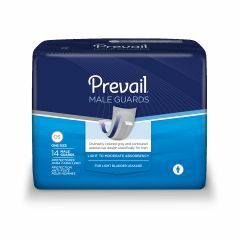 Incontinence Pads & Shields are designed for both men and women and are available for daytime as well as night time protection. Pads and shields or pant liners, are used inside regular underwear and can absorb as much as many full-size adult briefs but in a more compact size. Pads and shields are ideal for the wearer who is mobile and able to use the toilet. Order your incontinence supplies from AllegroMedical.com on our Monthly Delivery Program and get your Pads & Shields delivered monthly, or as often as you need them.